A piece of land is surely the most prized possession to own in the most rapidly growing area of Ravet, Arun Viva presents to you affordable residential apartment with 49 Units of 1 and 2 BHK Terrace Homes, along with well-planned floor plan. Location - Ravet with 2 BRT and 24-meter wide road, Next to SB Patil school and DY Patil college, Expressway, Railway station etc gives you a future-proof location to own a home. 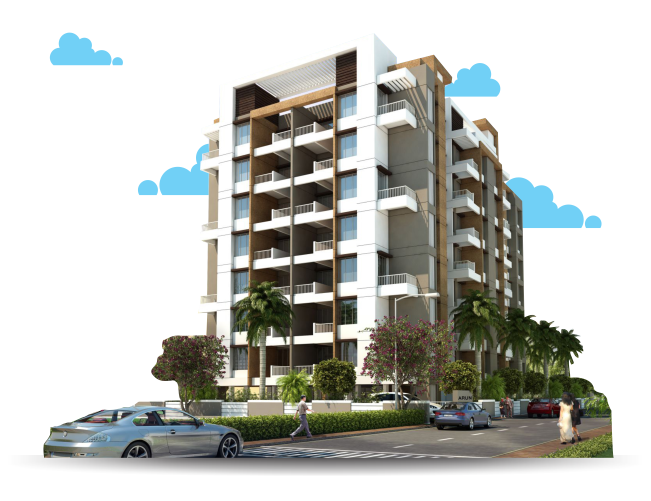 The project is situated at New Ravet, your new address is close to finest living. Office and Shops available for sell and lease at Ajmera, Pimpri. Backed by 2 decades of legacy and experience, we are proud to have a litigation free approach and always ensure timely completion of projects, for a happier you. It's great to be a reputed name! We’re proud to be the reason for satisfaction of many families and corporate tenants with high reputation in the PCMC. We aim to enhance residents experience. We believe in planning, involving well researched concepts and to bring innovative designs on the table. We are a group of professionals with a combination of poise and entrepreneurial flair. A team of young and experienced people!